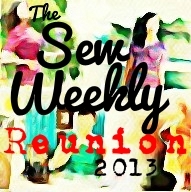 I am in between projects, so now is the perfect time to post photos of Where I Sew – http://www.pinkchalkstudio.com/blog/2013/06/30/where-i-sew-month-2013/ Just looking at the 2013 Where I Sew photos by pink chalk, gave me a lot of inspiration. Each space is differentand that is what is so neat about it. I would love to move my sewing space upstairs to a spare room with a larger window but will have to wait about 10 years! Until then, I have created my space in the family room downstairs. Therea many positives to this despite the lack of natural light. It is the place my husband spends his extra time and my kids too. We have an open concept large room each divided for our own purposes. Media, exercise, computer, and sewing of course. 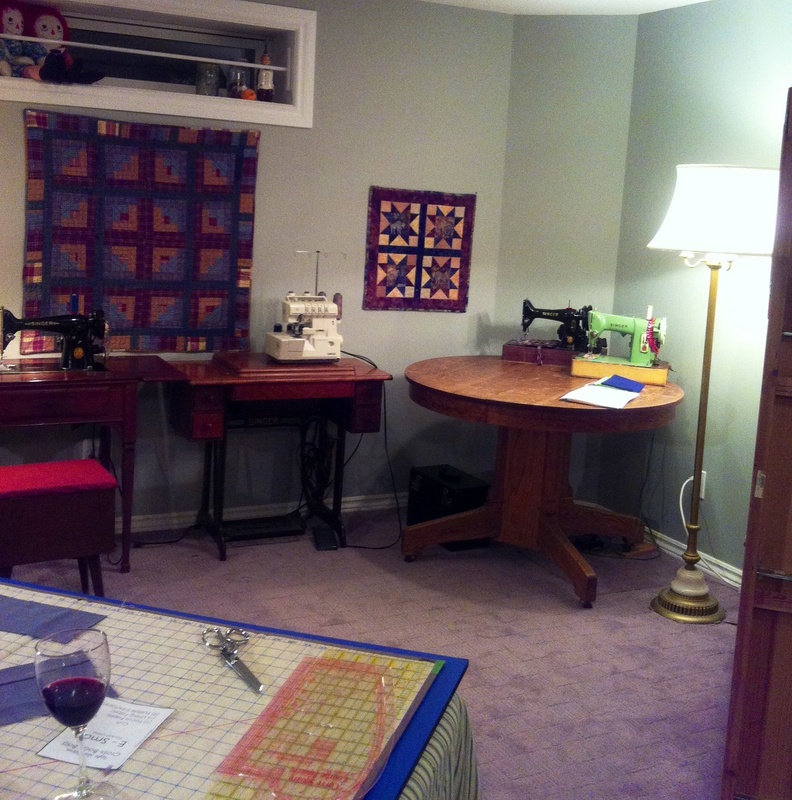 My space is the second largest which affords room for my supplies and my SMAD – sewing machine acquisition disorder! I like to collect vintage machines, fix them, and use them. 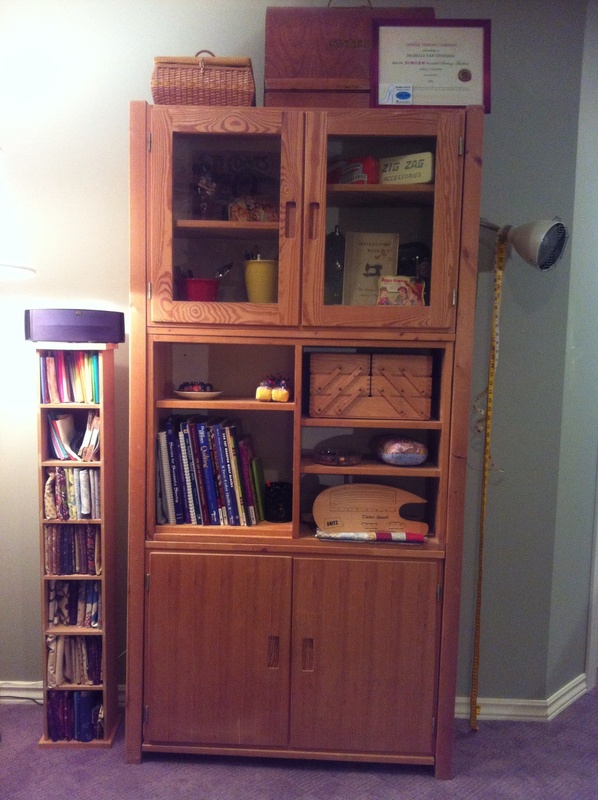 I also have a few machine cabinets playing double duty as side tables upstairs in case there is a teen sleepover that takes over the basement. 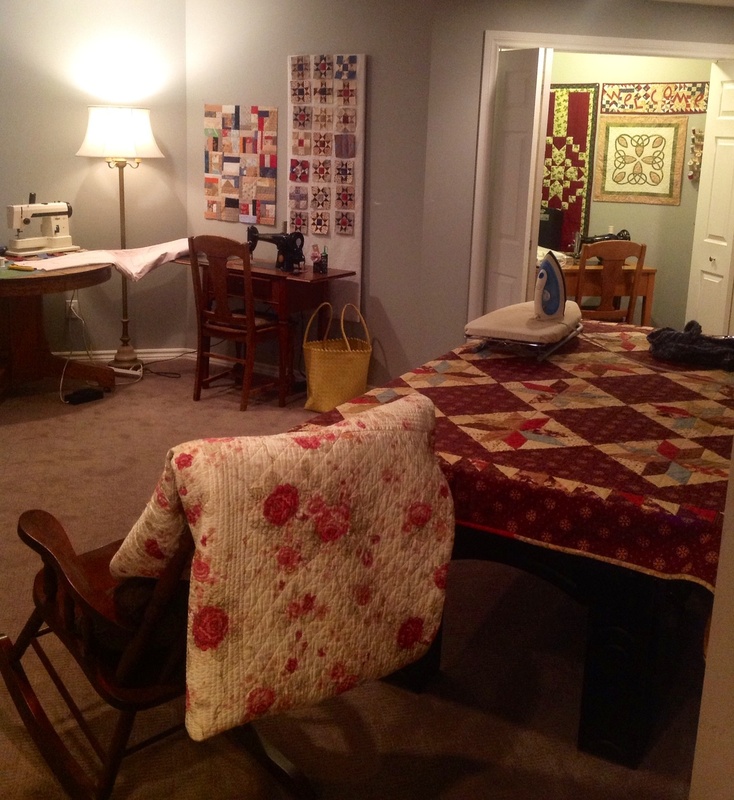 I hope you enjoy the pictures of Where I Sew.